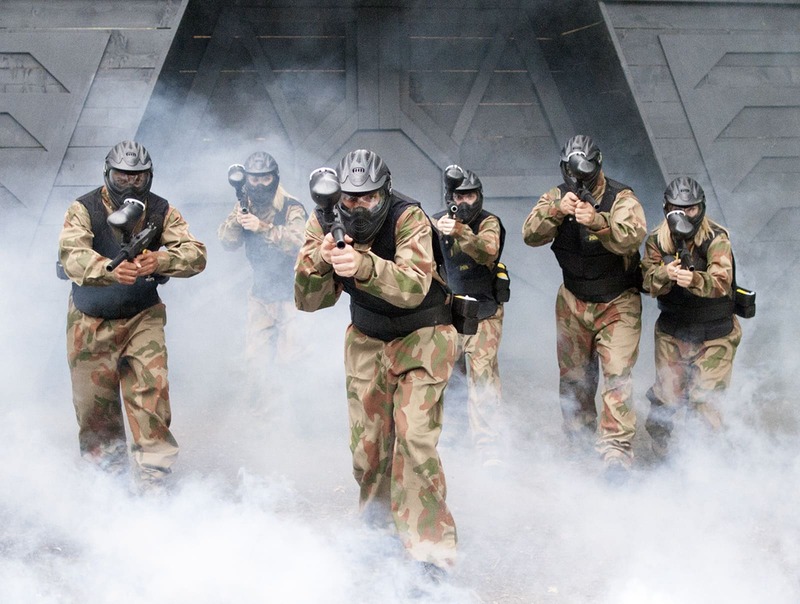 Whether you’re a regular Paintball player or a rookie testing out the sport at Delta Force, paintball is played to win. 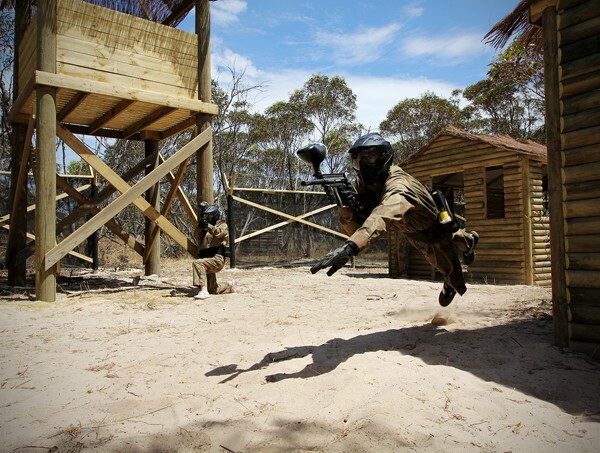 Some people can get caught up in complicated strategies which can take the main focus away from having a laugh and bonding with your mates, so we’ve outlined 5 key tips to keep in mind when playing at Delta Force Paintball which we hope will help you end up having a great time and also securing victory for your team! Communicate with your teammates. Communication with your teammates is vital especially when executing offensive maneuvers and you will have more success as a team than as an individual. 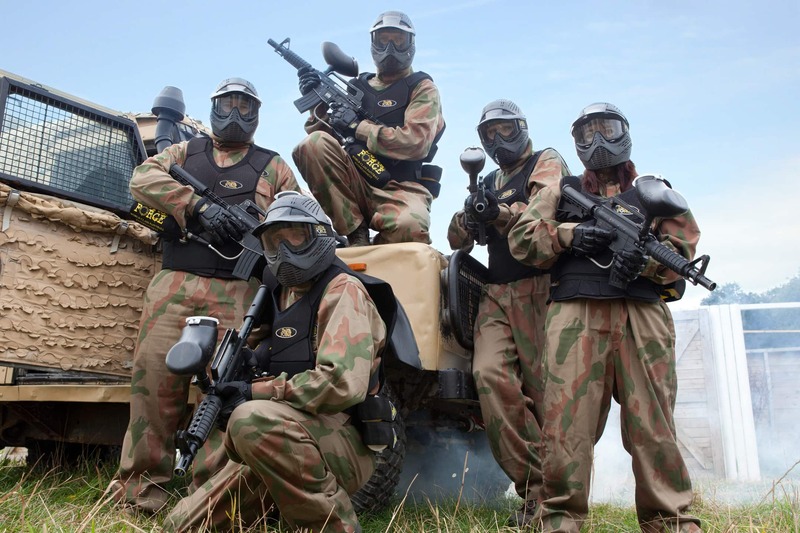 Paintball is a collaborative effort requiring participation from all members of the team in order to secure victory, so it’s important everyone knows their role. By assigning roles and remaining with your team members rather than running off, you extend your lifespan. Going off on your own, you only end up being easier for the opposing team to eliminate. By positioning your teammates strategically in key vantage points, you stand a better chance of preventing the enemy team from completing their objective, and you’ll end up completing yours sooner! So always remember – work together with your team. Always keep moving. Standing still or staying in the same spot for too long is bound to flag up your position to the opposition, and they will soon be heading in your direction. It’s also important to advance through the game zone to a point where you will be of greater use to your team, staying miles behind all the action won’t be of any use to your team, and you also won’t be within range to eliminate the enemy. Remember when moving to a new key position that you move stealthily – this way you remain under the radar for as long as possible. In the heat of the battle it’s always best to remain calm and blend in with the surroundings. By using diversionary tactics to confuse the enemy is usually the best strategy rather than rushing in with no set plan of attack. Stay aware of your surroundings. Be careful not to focus all your attention on one part of the game zone, or one single opponent; the enemy fire will be heading your way from multiple directions. Tunnel vision will ultimately lead to you being caught out. It helps to create a mental map of the game zone and look for key hiding spots where you envisage the enemy to set up. This also allows you to take note of areas where you and your team can retreat to if need be. By staying one step ahead of the enemy you give yourself the winning edge over the opposing team. Make use of the element of surprise. By confusing your opponent, you increase the chance of taking them out. Try appearingfrom behind one section of cover and firing off shots at the opposition, then ducking down out of sight and moving to a new section of cover. Your opponent will be concentrating on where you had previously been firing so you will have an opportunity to catch them off guard from your new position. For players aged 18+ years, using grenades are great for confusing the enemy and enabling your teammates to move into new positions and strengthen your attack. 5. Remain positive and have fun! Paintball is fun! Playing paintball with your mates is a great experience, so it’s important you remain positive and upbeat throughout the day. A positive outlook will raise team morale and will get your teammates roused to follow your tactical strategy. By letting negative thoughts creep in, your gameplay will slip and you’re more likely to end up being an obvious target. This won’t help you or your team win the game. 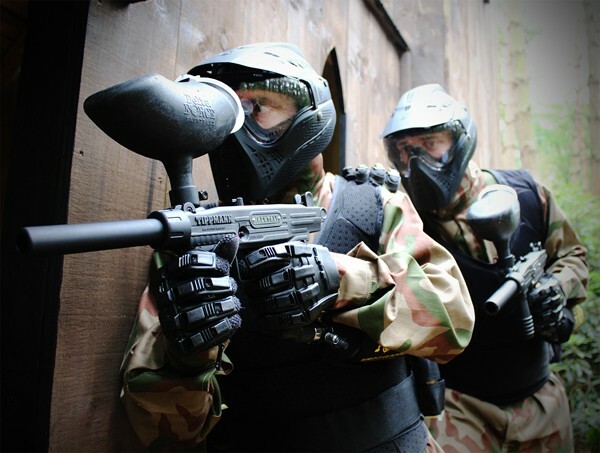 To take part in an action-packed day of paintball at any one of our 35 centres nationwide, call us 24/7 on 0203 869 9301 or request a call back from a member of our booking team.